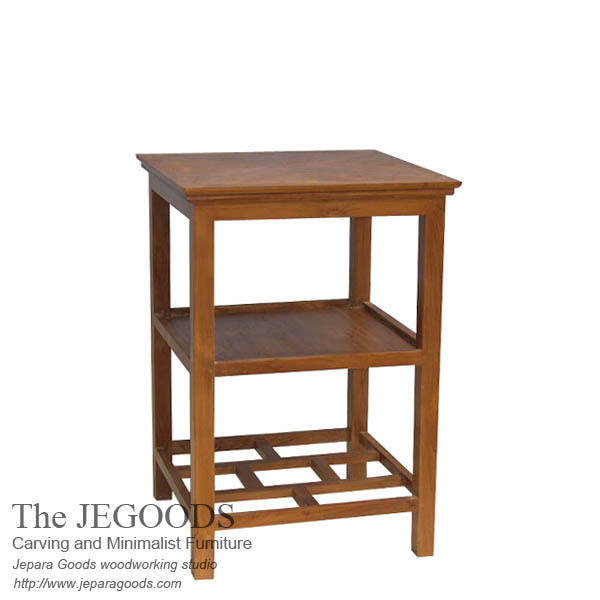 Pesagi End Table is used to put your books or any other little stuffs. A simple side table completed with 1 shelf made of teak solid Indonesia by the Jegoods Woodworking Studio. A group of experienced wood craftsmen produced furniture with best traditional construction method and finished by our skilled wood craftsmen in Jepara, Central Java. We care about every detail and our furniture are durable in time.